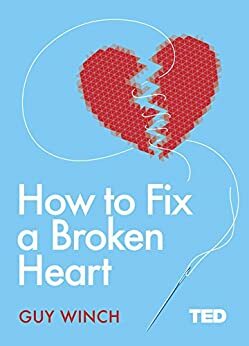 This was extremely helpful... and gave me hope that I would recover from the most painful breakup Ive ever experienced (at age 44). I would recommend this to anyone who is in the midst of anything similar. I am in the midst of having my heart being crushed right now and this book is exactly what I need to help me. I'm going to re-read it again and a third time if I need to. An easy read considering the topic. Author uses stories that many will identify with. He provides some coping mechanisms to get through the really rough parts. It helps to know someone understands how we react the way we do in a society that is not necessarily supportive of showing emotion. 5.0 颗星，最多 5 颗星Short, sweet, and to the point! Reading about other people's journey through heartbreak and healing has been helpful. I hope to put some of these ideas into practice for myself. Everyone should read this book at some point. Whether to heal themselves or help a friend.